The home countries have different numbering systems for schools. 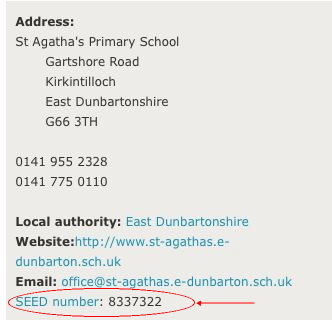 These numbers were used to identify your school on the old Becta database. It is important you give us the correct number so we can identify you. Schools in Northern Ireland have a DE number, it is usually made up of 3 digits and 4 digits separated by a dash).